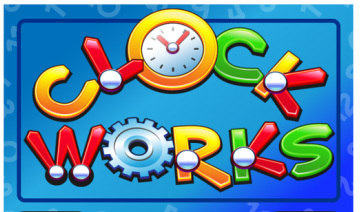 These games are for practice for the basic reading of a clock! There is a description for each game beside a screen shot of the website. Read the descriptions and choose a game to play. Click the picture to link to the website! Tick Tock Song video is just a cute song to help you learn to tell time! This is a practice game of telling time to the minute. The analog clock will show you a time. You have to set the digital clock to the same time. Then check your answers! 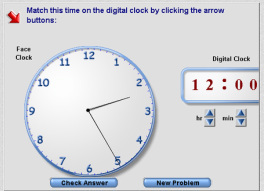 This is an interactive game that you have to drag the five digital clocks up to match the analog clocks times with a digital clock. Then hit stop the clock to record your time. You will be reading time to the fifteen minutes in this game! 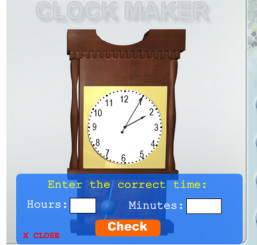 In this game you will tell the hour an minutes to match the time on the clock! This is a timed game to test your clock reading skills. How many times can you correctly identify in a specific time? 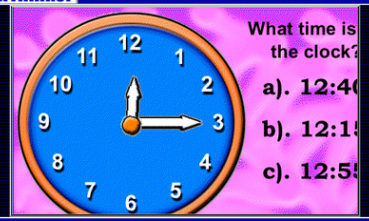 You will add details to the clock as you correctly identify the time on the clock. Practice telling time to the five minutes. Play this game with a friend! You will each roll the dice and move around the board. As you land on a space you have to move the hands on the analog clock to match the time on the digital clock. Watch out if you miss it, you will miss the next turn. 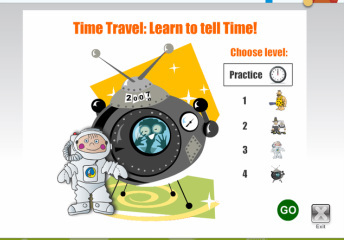 Time Travel: Learn to Tell Time! In this time traveling game you will make the analog and digital clocks match one another and help save friends in their time travel. There are four different levels of difficulty. Review these two slideshows to help you with telling time! Review the slideshow by clicking the arrow buttons to the right. 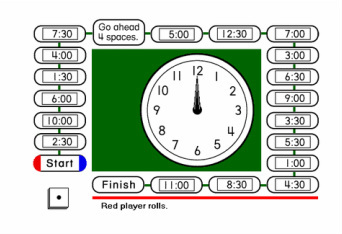 This slideshow will explain the parts of the clock, a.,m./p.m., and telling time to the five minutes. If you would like to view it in a large screen, click the four arrows in the bottom right hand corner. Review this slideshow the same way as Telling Time. 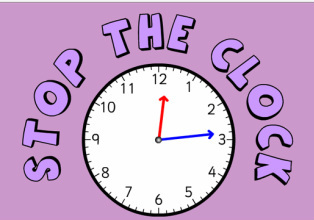 This slideshow works on telling time to the five minutes and discusses elapsed time. Elapsed time is referring to how much time has passed between two time periods. If you would like to view it in a large screen, click the four arrows in the bottom right hand corner.